Do you want to be an integral part of something big, so big it might change the world? We do too. The WEconnect platform was born out of the founders’ motivation to find solutions for thriving in addiction recovery and improving the lives of others. WEconnect is a solutions-based platform that addresses the most crucial time during someone’s recovery: the first year of sobriety, as well as verified outcomes data pertaining to the field through the healthcare ecosystem. Our company understands the value of culture, trust and clarity within a team to achieve our goals. Each employee brings their authentic personality, passion, ideas, and fun to grow and define a company that seeks to revolutionize recovery through technology. 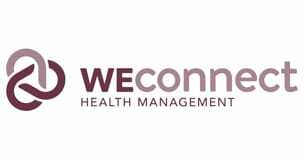 Weconnect is seeking an experienced Sales Account Executive to join our team on our journey to solve the biggest public health crisis of our time. As a Sales Account Executive, you showcase excellent communication and negotiation skills. You also act proactively to address clients’ needs and facilitate the sale process from beginning to the end. Ultimately, you contribute to an increase in sales and maintain our company-client relationships at a high standard. What’s it like to work at WEconnect? WEconnect is a team of people who have joined together to solve a problem -- one to which we are truly dedicated: saving lives from addiction. We achieve this by reducing relapse, making recovery fun and accountable, and keeping individuals connected to community support. We have created a culture of our own. Grown from the knowledge of our shared past, WEconnect exemplifies trust, commitment, flexibility, leadership, work/life balance, and service. Each colleague brings their authentic personality, passion, and ideas to lead, grow, and define a company that seeks to revolutionize recovery through technology. Do you want to be an integral part of something big, so big it might change the world? We do too! The WEconnect platform was born out of the founders’ motivation to find solutions for thriving in addiction recovery and improving the lives of others. WEconnect is a solutions-based platform that addresses the most crucial time during someone’s recovery: the first year of sobriety, as well as verified outcomes data pertaining to the field through the healthcare ecosystem. In this role you will work with business development, engineering, UX design, and your fellow PMs to shape the business and product strategy. Your responsibilities include both product and program management themes including market research, product feature ideation, building roadmaps, writing epics and user stories, managing backlogs, and forecasting and analyzing business results. You will lead mobile and web teams in bringing new scenarios to market on time and with top quality. This is an excellent opportunity for a motivated, energetic individual to have a large impact in new technologies. For more information about this opportunity, or to apply, click the below link!